I Adore The Watercolor Above The Fireplace! 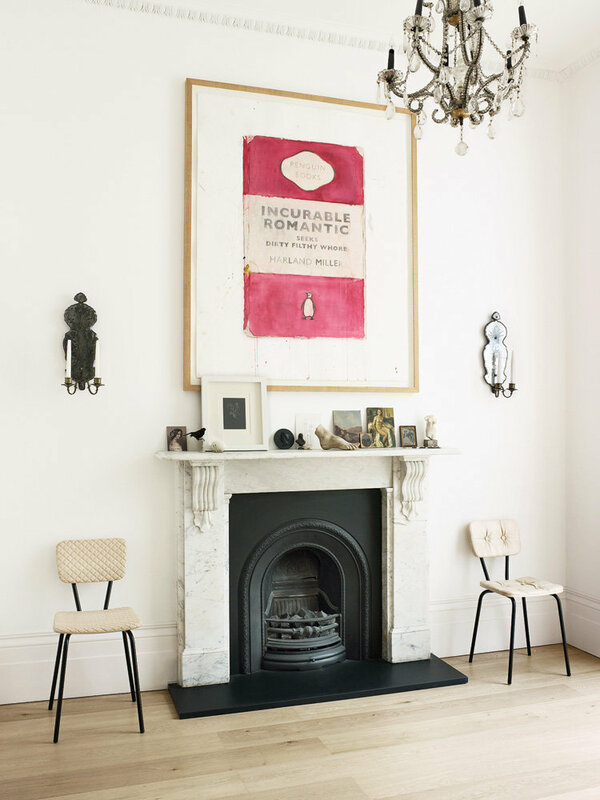 On the house’s first floor, a watercolor by Harland Miller hangs over a fireplace. The Soft Wood chairs are by Veronika Wildgruber.